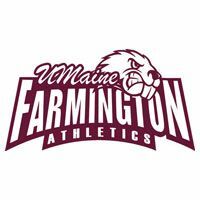 The University of Maine at Farmington softball team posted a pair of 13-1 victories over Johnson State College in North Atlantic Conference action today at Marshwood High School. The Beavers (3-7, 3-1) are slated to host University of Maine at Presque Isle Monday at 10 a.m. at the Kents Hill School due to unplayable conditions at Prescott Field. The Badgers dropped to 1-13 (0-4). Farmington exploded in the late innings in both contests with a nine-run sixth forcing the mercy rule in the opener and 10 runs scoring over the final two frames in game two. In the opener, Sam Morency (Lewiston, Maine) clubbed a solo home run and Meaghan Donnell (Rochester, N.H.) rapped a two-run single to lead the Beavers to a nine-run output in the sixth for the 13-1 win. Donnell finished with a 4-for-4 performance at the plate followed by Shannon Mitchell (Portsmouth, N.H.) with a single, a double, a home run and two RBI and Amy Jones (Augusta, Maine) with a single, a sacrifice fly and three RBI. Emma Vaillancourt (Saco, Maine) held Johnson State to three hits with two walks and five strikeouts to earn the win. Morgan Rogerson plated Amber McCullock with a single for the Badgers' lone run. Meagan Russ took the loss as she started and went 5.1 innings with 13 hits allowed, two walks and three strikeouts. In the second game, the Beavers scored five runs in both the sixth and seventh innings to distance themselves from the Badgers for the 13-1 rout. Mitchell smacked four singles and drove in three runs for Farmington with McKell Barnes (Durham, Maine) with chipping in a single, a double and two RBI and Morency and Lily Barry (Hermon, Maine) collecting three singles apiece. Kaitlyn Bartlett (Chesterville, Maine) hurled six innings in the victory with five hits allowed, two walks and two strikeouts. McCullock singled twice for the Badgers with Heather McLaughlin doubling. Russ also was dealt the defeat in game two with 17 hits allowed, two free passes and three punchouts. Pitchers: Me.-Farmington - Emma Vaillancourt. Johnson St. - Meagan Russ; Caitlin Mackey(6). HR UMF - Shannon Mitchell; Samantha Morency.